FCase is vendor neutral and we continue integrating with newcoming Fraud Prevention Systems with respect to our client needs. Below is an alphabetical list of Fraud Prevention Systems that FCASE seamlessly integrates. 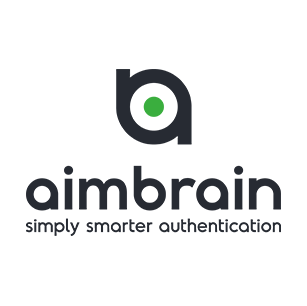 AimBrain’s approach to Biometric Authentication uniquely combines voice, facial and behavioural biometrics with cloud-based authentication to verify an identity, unlike traditional implementations of PINs, tokens and even fingerprints that simply confirm the link between the individual and the device. This company is a digital identity company that delivers behavioral biometrics, analyzing human-device interactions to protect users and precious data. Founded in 2011 by experts in neural science research, machine learning and cybersecurity, BioCatch is used by banks and other enterprises to reduce online fraud and protect against cyber threats, without compromising user experience. With an unparalleled patent portfolio and deployments at major companies worldwide that cover tens of millions of users to date, BioCatch has established itself as the industry leader for behavioral biometrics. InAuth is a digital device intelligence company for mobile. 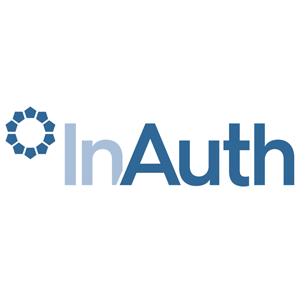 Through its unique permanent device ID technology, InPermID, the InAuth Security Platform delivers advanced device identification, analysis and risk assessment capabilities possible to help organizations limit risk, remove friction and reduce fraud within their digital channels. FICO provides analytics software and tools used across multiple industries to manage risk, fight fraud, build more profitable customer relationships, optimize operations and meet strict government regulations. FICO solutions leverage open-source standards and cloud computing to maximize flexibility, speed deployment and reduce costs. IBM Safer Payments delivers a cognitive fraud prevention solution to payment processing with IBM Counter Fraud Management for Safer Payments. Previously marketed as IRIS™ and acquired by IBM in 2016, IBM Safer services all payment channels. IBM Trusteer helps organizations establish identity trust across the omnichannel customer journey. Through cloud-based intelligence, backed by AI and machine learning, Trusteer provides a holistic approach to identifying new and existing customers, without negatively impacting user experience. iProov is a strong biometric identity authentication of provider. iProov focuses on delivering the twin goals of trusted security and outstanding user experience. iProov’s unique approach to spoof prevention, covered by numerous granted patents. Lynx is a Spanish real-time fraud detection software based on statistical methods that makes a comprehensive study of any kind of card or bank transaction operated through any kind of banking channel within milliseconds to determine the risk level each transaction entails. The company provides real-time, cross-channel fraud prevention, anti-money laundering detection, and trading surveillance solutions that address such concerns as payment fraud, cyber crime, sanctions monitoring, market abuse, customer due diligence and insider trading. Paygilant makes digital payments safer, faster and easier. Using a disruptive technology that is designed to protect mobile payments, either executed by NFC, QR code or online. Operating in a hybrid mode, Paygilant provides smooth, frictionless customer experience prior to processing the transaction, triggering immediate authentication only upon a suspicious fraudulent attempt. Financial institutions, eCommerce and mobile wallet providers stop fraud while dramatically enhancing their customer’s mobile payment experience. What makes Paygilant a breakthrough is that it does not rely on Behavioral Biometrics as the sole criteria for authentication, rather incorporates additional fraud indicators including Device Indicators and Transaction Analysis. Paygilant’s SmartRisk methodology combines Device Indicators, Behavioral Biometrics and Transaction Analysis to decisively identify fraudsters from legitimate customers. Simility offers real-time risk and fraud decisioning solutions to protect businesses. Simility’s offerings are underpinned by the Adaptive Decisioning Platform built with a data first approach to deliver continuous risk assurance. By combining artificial intelligence (AI) and big data analytics. Uniken is a military grade end point threat detection at consumer speed, device fingerprinting, application fingerprinting, standard industry biometric integration, a unique 1:1 Relative Identity (REL-ID) for each user, a Man-in-the-Middle proof secure channel and unique Out of Band verification technology which allows the consumer to approve transactions that normally would not be possible without physical or voice recorded verification.